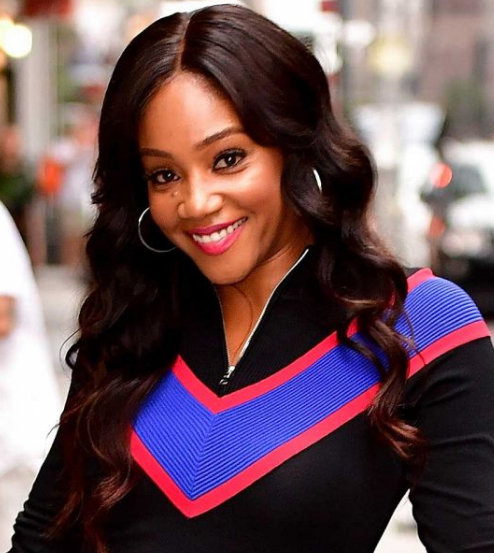 Tiffany Sarac Haddish famed as Tiffany Haddish is an American comedian as well as an actress. She gained prominence as Jackie on the first season of the OWN television drama "If Loving You Is Wrong" from 2014 to 2015 and starred as Nekeisha Williams on the NBC sitcom "The Carmichael Show" from 2015 to 2017. She also appeared in the movie named Keanu, Girls Trip and more. In the present year 2018, her name was included on Time's annual list of the 100 most influential people in the world. Haddish stated in 2018 that at the age of seventeen she was sexually assaulted by a police cadet. 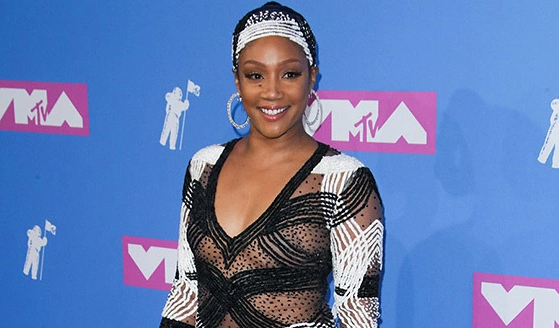 Tiffany Haddish was born on 3rd December 1979 in Los Angeles, California, U.S. Her birth name is Tiffany Sarac Haddish. Her father name is Tsihaye Reda Haddish and her mother name is Leola. Her father left her mom when she was only three and her mother later remarried and gave birth to four children. She attended George Ellery Hale Middle School in Woodland Hills and graduated from El Camino Real High School. Tiffany has got a tall height of 1.75 m and weight of 58 Kg. Her shoe size is 8 and the dress size is 6. Her bra size is 32B. Tiffany made her career in the comedy competition "Bill Bellamy's Who's Got Jokes?". Later, she appeared as a guest in several shown as Chelsea Lately, That's So Raven, My Name Is Earl, It's Always Sunny in Philadelphia, The Underground, Nick Cannon's Short Circuitz, @midnight, Just Jordan, In the Motherhood, Def Comedy Jam and many more. She also starred in the films named Meet the Spartans and Janky Promoters. In the year 2013, she had a role in "Real Husbands of Hollywood". Later, in the year 2014, she was cast in the Oprah Winfrey Network series "If Loving You Is Wrong". In the year 2016, she co-starred opposite Jordan Peele and Keegan-Michael Key in the comedy film "Keanu" in the role of Hi C.
In the year 2017, she starred in the movie "Girls Trip" and became a box-office hit, becoming the highest-grossing comedy of 2017. She also co-hosted the BET game show Face Value with Deon Cole. She became the first black female stand-up comedian to host "Saturday Night Live" on 11th November 2017. Haddish's memoir, "The Last Black Unicorn", was released in December 2017 by Simon & Schuster; it debuted at number 15 on The New York Times best-seller list. She will star in the 2018 comedy film "Night School". In the year 2018, She signed a first-look deal with HBO. She will be providing the voice of Queen Watevra Wa-Nabi in "The Lego Movie 2: The Second Part" in the upcoming year 2019. Tiffany is a married woman. She married William Stewart in the year 2011 and later got separated in the year 2013. The net worth of Tiffany is estimated to have around $4 Million as of 2018. Her name was included on Time's annual list of the 100 most influential people in the world. Her father left her mom when she was only three and her mother later remarried and gave birth to four children. Tiffany made her career from the comedy competition "Bill Bellamy's Who's Got Jokes? ".